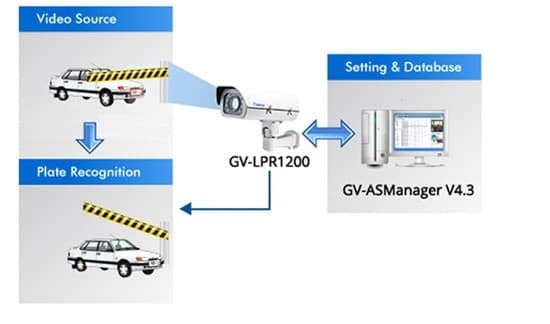 The Geovision GV-LPR1200 is an IP license plate recognition camera that features a video resolution of 1280 x 720 at a full 30 frames per second and has a 1/3” progressive scan CMOS image sensor. 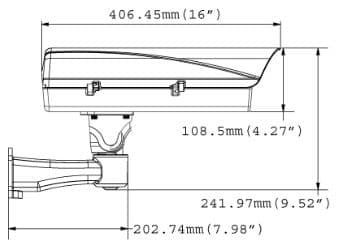 The Geovision GV-LPR1200 IP LPR camera has multiple high powered infrared LEDs with an effective IR range of up to 10 ~ 20 meters / 32 ~ 65 feet. 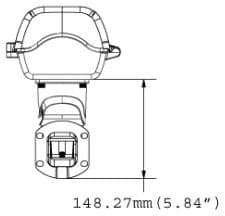 The motorized 4.7 ~ 47mm lens is remotely adjustable from the camera's web browser. The camera is specifically designed to capture reflective license plates on vehicles traveling at speeds of up to 200 kmh / 124 mph. This camera is able to automatically adjust it's shutter speed based on the environment and produce clear plate capture in low light conditions. A 4.7 ~ 47mm lens gives the user a wide range of viewing angles for the specific application. 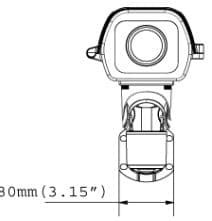 The IP67 / IK10 rated housing protects the vital components of the camera from harsh weather, including temperatures as low as -40°F and acts of vandalism. The Geovision GV-LPR1200 is designed for vehicles traveling at 200 km/hr (124 mph) or less and with reflective license plates only. The GV-LPR1200 is also capable of recognizing plate numbers with the built-in LPR processor. Which works by comparing the captured license plates with the database download from the access control software, GV-ASManager, and opening a gate or barrier when there is a match.